Sit back and relax with a host of elegant dishes from Stones the acclaimed Derbyshire restaurant, for only £52.50 per person for the 8 course menu. Upgrade with a flight of specially selected matching wines for £28.50. Must be opted for by the whole table, available Tuesday to Saturday evening. Book online for free text confirmation or call 01629 303 661. Treat yourself to a delicious two course lunch in the relaxed surroundings at Stones. Choose a main and starter or dessert from set menu for £25 per person. Or why not go for all 3 courses for just £29.50 per person? Please note the menu changes monthly. Book online for free text confirmation or call 01629 303 661. Treat yourself to a two course evening meal in the relaxed surroundings at Stones. Choose a main and starter or dessert from set menu for £36 per person. Or why not go for all three courses for just £40 per person? Please note the menu changes monthly. Book online for free text confirmation or call 01629 303 661. The haddock and bhaji starter was fantastic. Pork belly main was ok but not the best I've had. The map which came with the cheese board was a lovely touch and very charming. I took my boyfriend to Stones for his 23rd birthday as both of us have been wanting to go now for a while. when we got there we found that the staff were all very professional and couldn't do enough for us. The wine was really nice, they bought us over 3 little appetisers which were delicious and I had a really nice raspberry cocktail. For starters I have scallops and my boyfriend had the pigeon - we were amazed by how nice it was. For our mains I had duck (my favourite) which was cooked perfectly and had amazing flavour. My boyfriend had the fish of the day which he thought was amazing. At this point we were a little tipsy and having a great time. Even though the portions look small we felt full. We sat outside by the river which is a really nice location - living in Matlock my whole like I have never see the bridge from the opposite side before. We then went back inside and had chocolate mouse for desert which was yummy and the perfect way to finish our evening. Even though our meal came to a high price we thought that it was value for money - the food was beautiful, the staff were really nice and the service was amazing. Very impressed that somewhere as good as that could be in lil' old Matlock town. We had a lovely lunch at Stones. 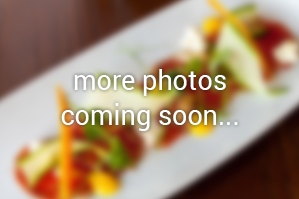 The food was absolutely amazing and the staff were really nice and very helpful. We felt very relaxed and had a really nice afternoon. We will definitely be going back soon. Excellent service, an amazing meal and a great location. We all thoroughly enjoyed our meal at Stones and we will be back! Thank you for a great night! First class how a meal should be done!! Still good but seamed to have lost that little extra this time. We have been to Stones many times and always enjoyed it. 4 stars as there is always room to become even better. Fabulous mask. Beautifully cooked. Couldn't fault anything we ate. My only gripe would be the music being played in the restaurant was intrusive, other than that a really great night! Very enjoyable evening, excellent food and first class service at Stone's restaurant. Highly recommended. Martinette and Pete Proud. Lovely evening at Stone's in Matlock. Food and service were excellent and the new look of Stone's restaurant is very stylish. Every-time I visit Matlock I always make sure I book my table for Stones. I've never tasted more flavourful in juicy pork in my forty-eight years of existence. The staff are exceptionally polite and professional and the atmosphere is just lovely. I'd recommend you book your table a couple of weeks in advance as this restaurant is unsurprisingly popular! Overall a very pleasant evening. Lovely restaurant always high standards of food and service. Definitely go back again and again. Amazing food and great service. I would highly recommend Stone's. First visit, made very welcome by friendly staffFood very good and very well presented, just the right size portions. Would highly recommend to family and friends. This was the best meal we have had in a long time with both the service and food excellent. We'll be back! In the heart of the beautiful and historic town of Matlock, Derbyshire you may discover a restaurant tucked away almost out of sight on Dale Road. Stones has gained a fantastic reputation in the local and surrounding areas and has been awarded two highly-coveted AA rosettes for its delicious British cuisine. The philosophy at Stones is to provide a fantastic dining experience in a relaxed setting with the friendly and attentive staff ensuring that your every need is taken care of. With a warm palette of creams, chocolates and reds, abstract canvases adorning the walls and upholstered church pews providing quirky seating and adding even more character to the venue. Stones provide a unique dining experience that is ideal for romantic evenings as well as family gatherings and business meals. 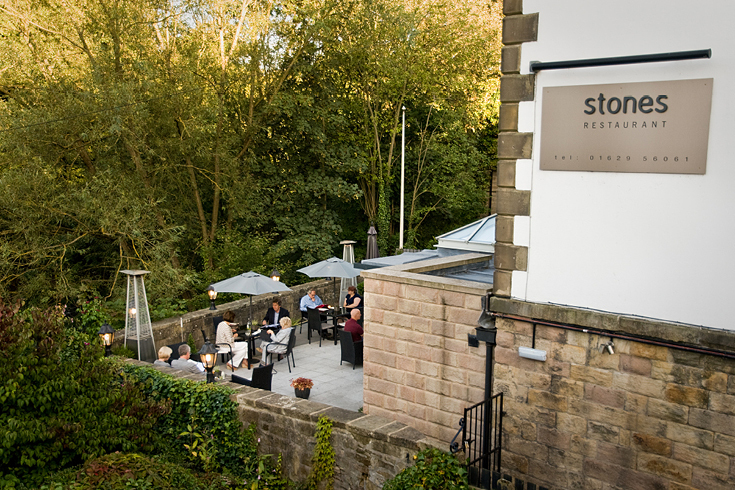 Guests at Stones also benefit from a well-maintained terrace area with stone walls, tables and chairs, parasols and plenty of greenery, as well as boasting views over the river. This area is perfect for enjoying an ice cold drink in the warmer months. 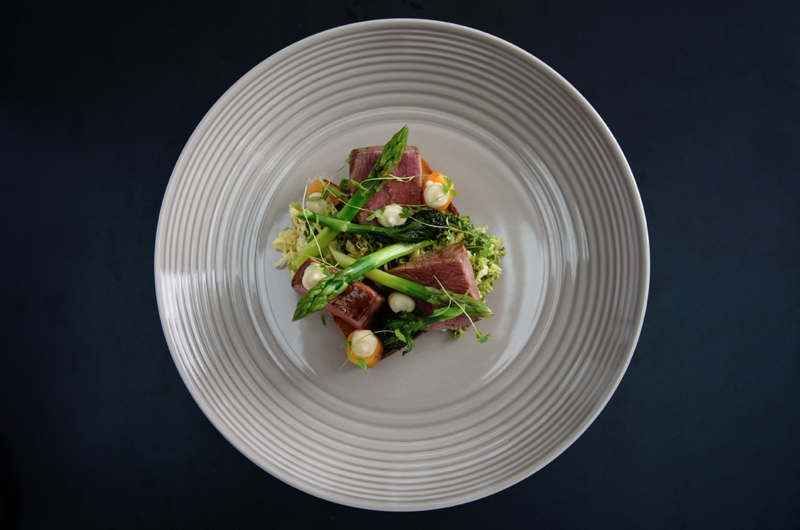 Head Chef, Kevin Stone, and his partner Jade Himsworth and sister Katie Temple, are all avid fans of local produce and use their skills and finesse to present beautifully executed modern British cuisine to every guests’ plate. With dishes such as roast chicken, shitaki mushroom and celeriac terrine; slow cooked pig cheek and black pudding croquette; and roast fillet of hake taking pride of place on the evening a la carte menu, it is easy to see why Stones' reputation is growing so rapidly. 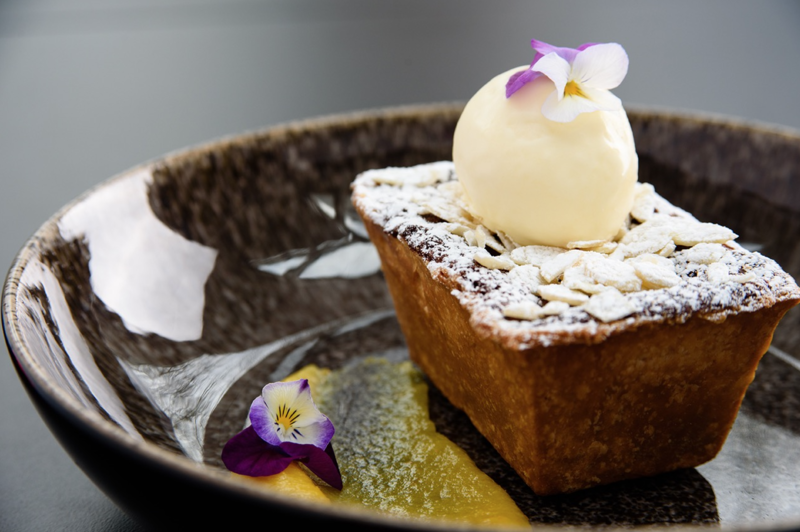 As well as this, there are several fantastic value set menus that include lunches and a superb eight course tasting menu, that are incredibly reasonably priced. 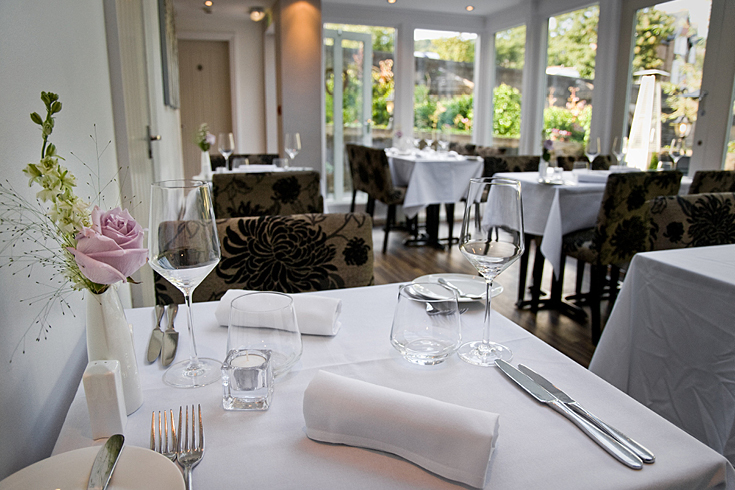 With quality cuisine, panoramic views and professional and attentive staff on hand at all times, Stones in Matlock is an excellent venue that promises to delight. Due to the ever-increasing popularity of this venue, booking is highly recommended to ensure you do not miss out. Sit back and relax with a host of elegant dishes from Stones the acclaimed Derbyshire restaurant, for only £52.50 per person for the 8 course menu. Upgrade with a flight of specially selected matching wines for £28.50. Must be opted for by the whole table, available Tuesday to Saturday evening. Treat yourself to a delicious two course lunch in the relaxed surroundings at Stones. Choose a main and starter or dessert from set menu for £25 per person. Or why not go for all 3 courses for just £29.50 per person? Please note the menu changes monthly. Treat yourself to a two course evening meal in the relaxed surroundings at Stones. 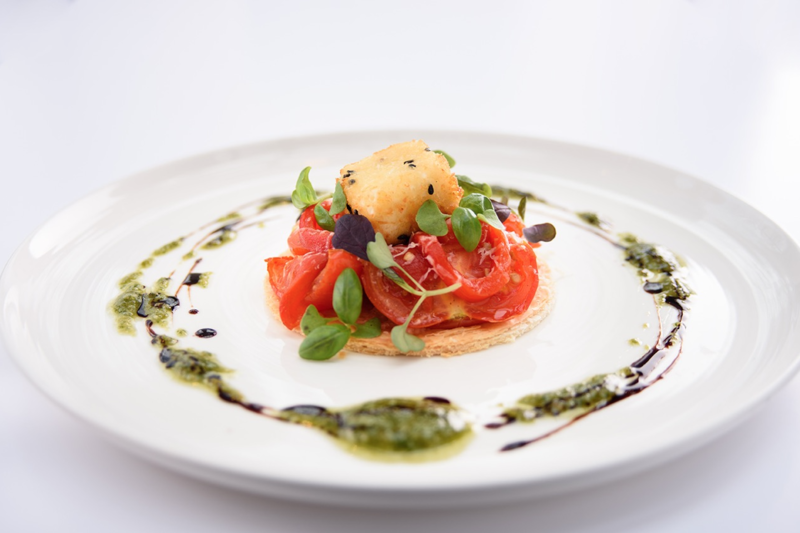 Choose a main and starter or dessert from set menu for £36 per person. Or why not go for all three courses for just £40 per person? Please note the menu changes monthly.